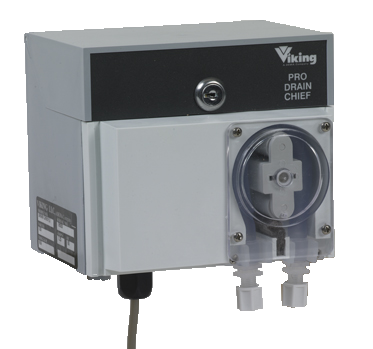 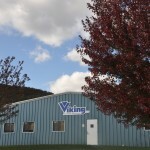 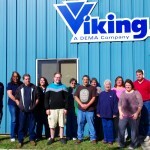 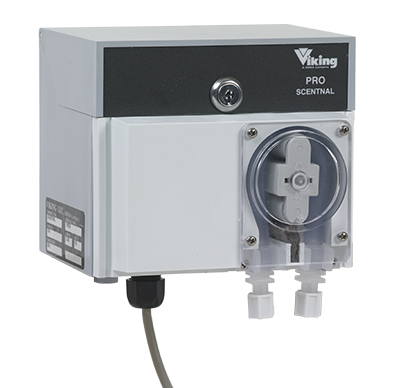 The newest Viking product in the drain and odor control line up. 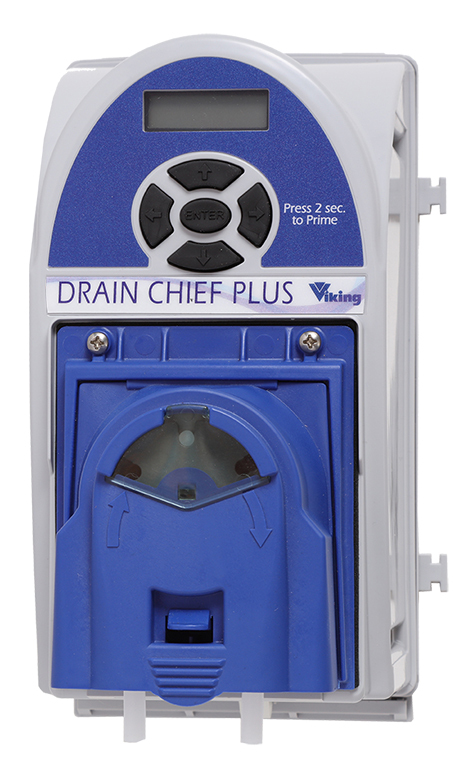 Available for use with drains and grease traps as Drain Chief Plus or for trash chutes and dumpsters as ProScentnal Plus. 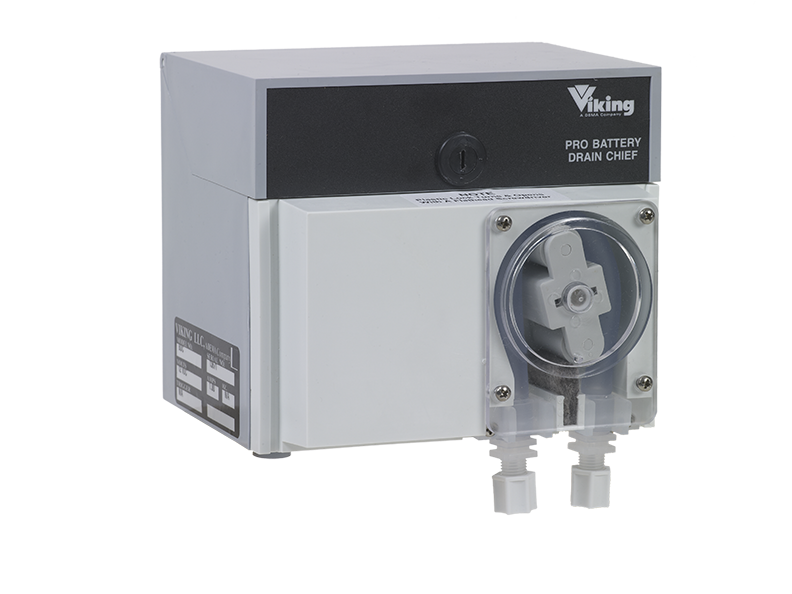 Using digital programming, you can easily program for various run time configurations, set low battery notification (for DC version only), and switch from odor suppression to drain control and back as needed. 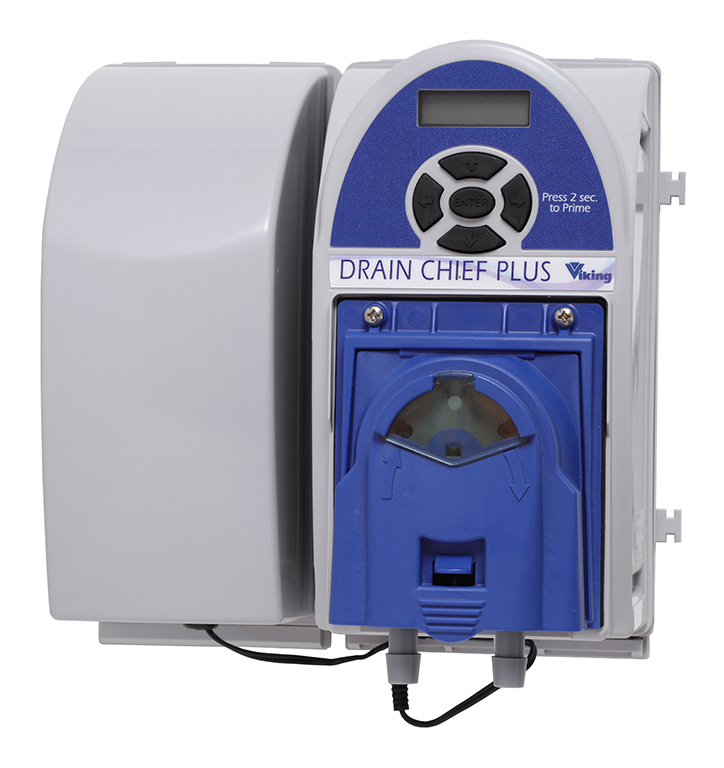 A quick change pump and dispenser back plate keep you off the ground when servicing wear items like squeeze tubes.